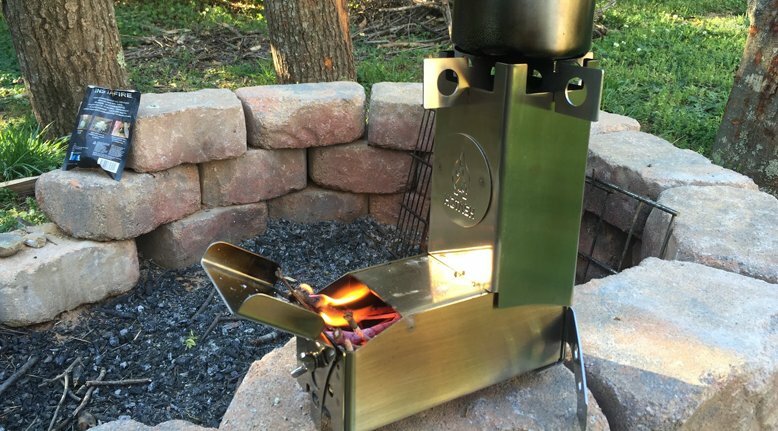 If you're wanting a minimalist stove that allows you to cook, boil water, and many other things in a minimalist setup, the Hot Ash Wood Burning Rocket Stove is right up your alley. It's made from stainless steel, weighs a scant 3 lbs., and collapses to a size of 3" wide and 8" tall. The really nice thing about the design of the rocket stove is that it uses minimal fuel to make focused, hot fires. Fill the box with a handful of twigs and pretty soon you've got a nice fire, suitable for cooking or boiling water. The price is currently [$109 at Amazon]http://amzn.to/2qPVzZU). At the time of posting the price was $109.